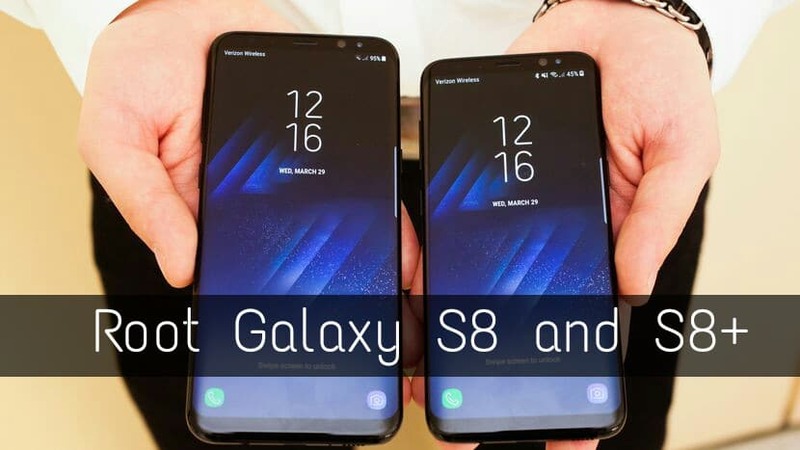 Samsung galaxy s8 root – Samsung has released the another flagship devices dubbed as Galaxy S8 and S8+. These are the most beautiful phones I have ever seen. Came with the curved display as like the Galaxy S7 Edge and perfectly fitted on your palm. Samsung needs to restore the buyers with these phone after the Note7 Battery disaster. Today I am going to show you How to Install TWRP and how to Root Samsung Galaxy S8 and S8+. Equipped with Qualcomm MSM8998 Snapdragon 835 for US and remaining rest of the countries get Samsung Exynos 8895 Octa – EMEA. Most of the Samsung’s S8 and S8+ Users waiting for the guide to root their devices. 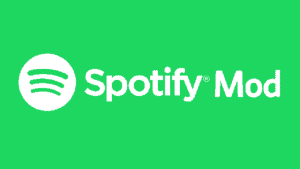 Because they might want to install custom mods, Kernels, Roms. So, Guys here is the full guide to root your device safely, but keep in mind that voids your warranty. Unfortunately, this guide is not valid for S8 and S8+ users who are from US country or Snapdragon CPUs users. You can confirm the what CPU you have by installing the CPUz Android app from PlayStore. We will update the post when the Snapdragon Models get a custom recovery. Xda Developer jesec has developed the custom TWRP recovery for both Galaxy S8 and S8+ Exynos chipset variants. Please note carefully, we have mentioned below the supported models which will be rooted through this guide. To find out your device model, go to Settings > About Device. This method will only work with Samsung Galaxy S8 Models which are given below, running with latest Android nougat (7.0) operating system. List of the Samsung Galaxy s8+ Exynos variants which will work with this method. Running with latest Android version nougat (7.0) O.S. 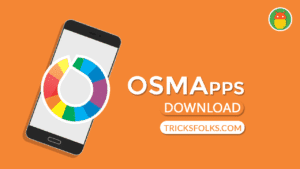 Root your device will allow you to run some Android applications, installing custom ROMs, customization of Android, custom kernels and overclocking and underclocking the device. It might look good but complicated when comes to running. 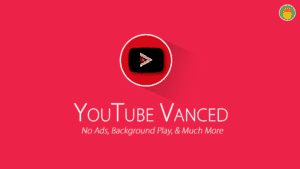 If you any complaint about device hardware you won’t get support from the company that means rooting voids warranty. You may brick or get into boot loop your device while installing flashable zips. We are not responsible for it. Make sure you have 60%+ battery charge. After downloaded all the Requirements from the above section then you can proceed to Samsung Galaxy S8 root with the help of TWRP. Install Samsung USB drivers to your computer which is downloaded from the downloads section. 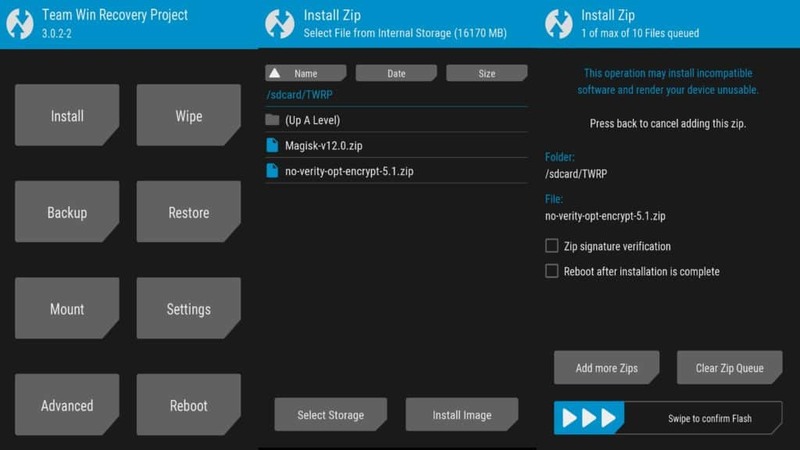 Download the TWRP Recovery .tar image file and dm-varity and force encryption disabler.zip to your Android device. Enable the USB debugging option and OEM Unlock on your device. Head over to Settings > About device > Software Info and Tap on the build number until developer options enabled. Then go back to settings. You can see the developer options. Tap on it and find the USB debugging and OEM Unlock then enable them both. Extract the Odin.zip file on your computer and Double-click on it to launch the Odin. 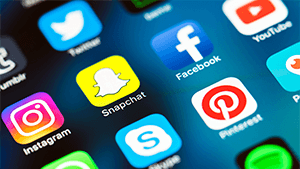 Switch OFF your device. Now, boot your phone into downloading mode by pressing and Holding the Bixby + Volume + Power Button for about 10-15 sec. Read the warning message carefully and want to proceed, click on Volume Up button to agree and get into Download Mode. Now, connect your phone to the computer with the USB cable. It will detect your phone if you installed Samsung drivers correctly. On the Odin software, the ID: COM port will be highlighted in blue color. Click on the AP button in the Odin then choose the TWRP recovery.tar that where you have downloaded. Click on the Options tab and deselect the Auto Reboot. Now, Click on the start button in the Odin to Install TWRP. Wait until the process completes. 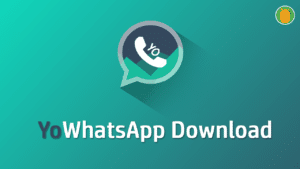 If TWRP installation was successful then ID: COM port will become Green and gives Pass message. You have successfully installed TWRP Recovery on your device. 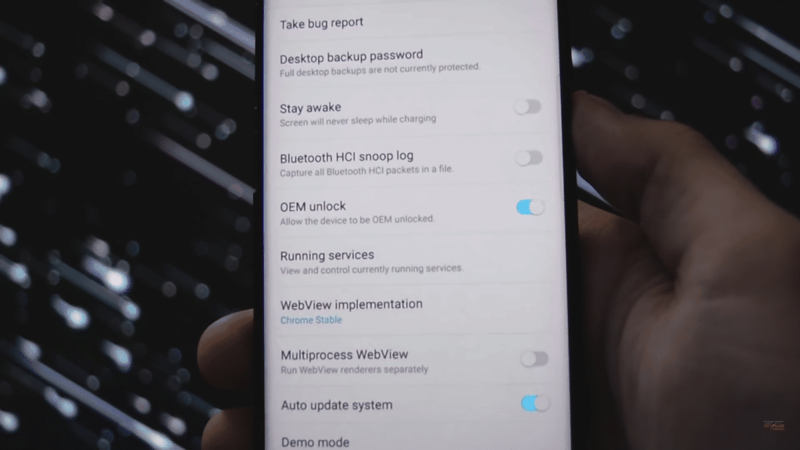 Now, Boot your device into TWRP Recovery Mode by pressing and holding the Volume Up + Bixby + Power buttons until you see the Galaxy S8 logo then release them. Now you are at TWRP Recovery and need to swipe right to allow modification. 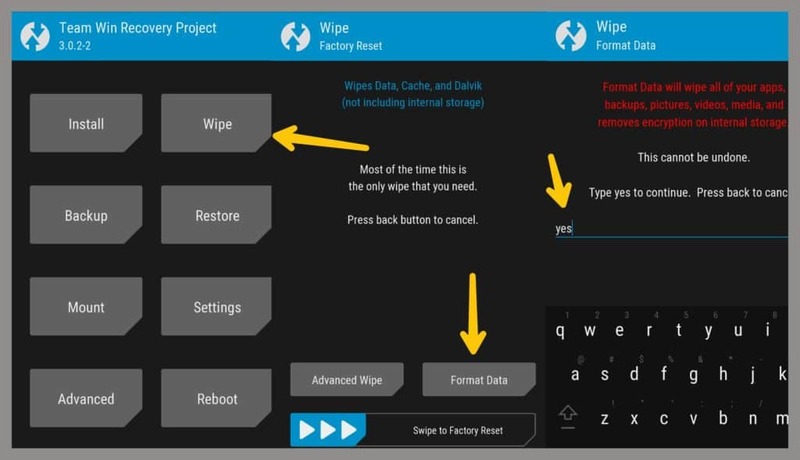 Tap on Wipe Menu on the TWRP home and do the Format data by typing, yes to continue. Now, Go back to TWRP home and select Reboot menu then choose Reboot into Recovery option and tap Do not Install. 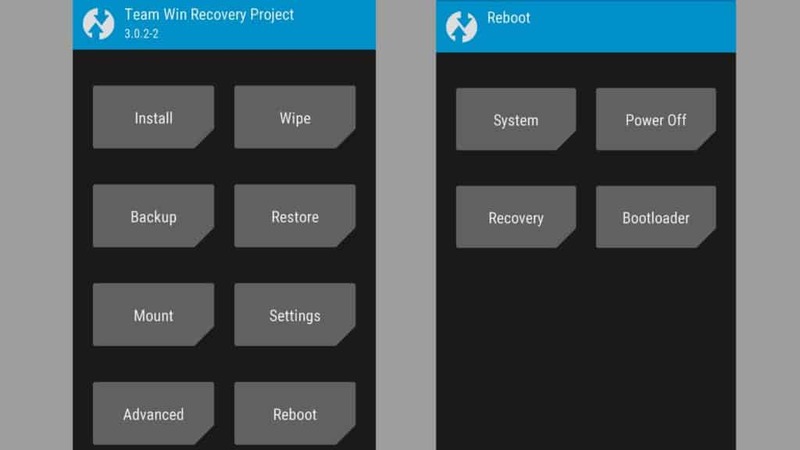 It will automatically be rebooted your device into TWRP Recovery Mode. Now you have to install no-verity-opt-encrypt-5.1.zip file via TWRP. 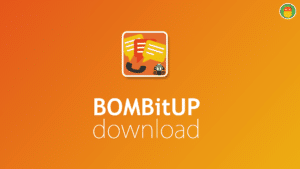 TWRP home > Install Menu > Select no-verity-opt-encrypt-5.1.zip. 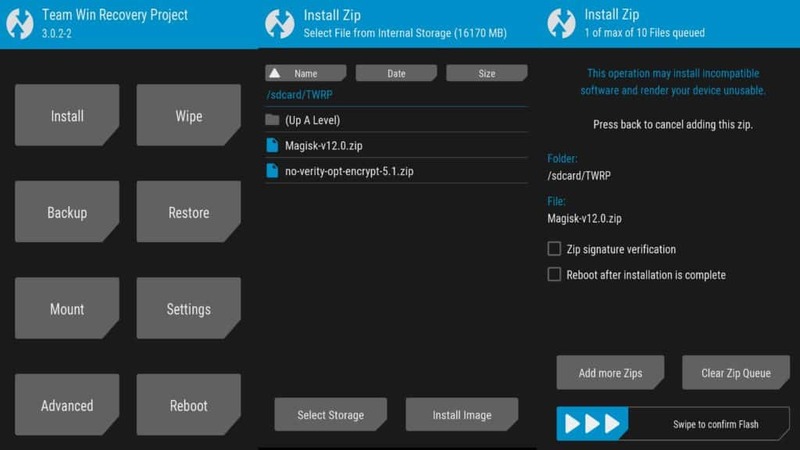 Install Magisk.zip file to root your device via TWRP. TWRP home > Install Menu > Magisk.zip. I hope that you will Install TWRP and Root Samsung Galaxy S8 and S8+ without any hassle. A complete guide to galaxy s8 users who want to root their S8 and S8 plus devices (Samsung galaxy s8 root). A video tutorial helps you to solve your doubt while following the procedure. If you still have any doubts regarding this tutorial, please let us know in the comments section.